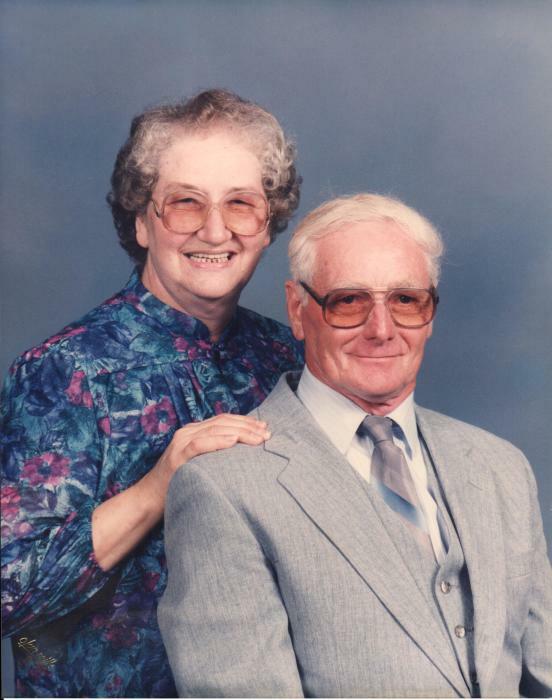 Obituary for Donna E. Chambers | McEntire-Weaver Funeral Home Inc.
Donna Chambers, 85 of Nickelville passed away Saturday, April 07, 2018 at her home following an extended illness. Born April 3, 1933, in Endeavor, she was the daughter of the late Forrest and Violet Busch. On December 29, 1951 Donna married Wilfred Luther Chambers who preceded her in death. Donna enjoyed spending time with her family, doing puzzles, baking around the holidays, going to church and reading her Bible. Donna is survived by her children Wilfred “Butch” (Kyong Cha) of Emlenton, Steven (Chris) Chambers of Kossuth, Keena (James) Walker of North Versailles, Valorie (John) Carpenter of Loganville, GA, Kimberly (Dennis) Warner of Emlenton, Lisa (Thomas) Lowrie of Cranberry, Althea (David) Tiefer of Lil Burn, GA, and Christine (David) Novak of Emlenton, 24 grandchildren, 38 great grandchildren and 1 great great grandchild. Also surviving are Donna’s brothers and sisters David (Dee) Busch, Ronald Busch, Merle (Nancy) Busch, Barbara (John) Burke, Midge Porter and Shirley Douglas. Along with her husband and parents Donna was preceded in death by two sisters Elizabeth (Betty) Goodman and Edna Mae McGinnis and a brother Darold McKissick. The family will receive friends from 2 to 4 pm and 7 to 9 pm on Monday April 9, and 10 to 11 am Tuesday, April 10 at the McEntire-Weaver Funeral Home Inc., 504 East Penn St., Knox. Funeral Services will be held at 11 am Tuesday in the funeral home with Pastor Bob Thomas of the Faith Church of the Nazarine in Kossuth officiating. Interment will follow at the Nickleville Cemetery. Donna requested flowers for her funeral or memorials be made to the charity of one’s choice.